The Jani-King network of Franchise Owners is one of the fastest growing in the world. Our owner-operator concept, coupled with professional support, yields a service organization well equipped to meet the demands of today’s building managers. Use our Investment Estimator tool to help you determine what Jani-King Unit Franchise Plan might be right for you and receive an instant investment estimate. Why invest in a Jani-King Unit Franchise? Commercial cleaning is in constant demand in most markets and has large potential for growth. We provide training, support and assistance in securing new business and retaining clients as you grow your business. We are recognized for size, strength, dependability, stability and leadership in the commercial cleaning industry. Jani-King’s founder transformed a challenging industry with the concept that a business owner, more so than an employee, would provide greater service because they had a vested interest. Results were successful and immediate. Jani-King quickly grew from one city to another through Franchisees that connected with customers and delivered a better cleaning service. Today there are 12 Master Franchise Territories in Canada, and more than 700 Unit Franchises spread across those regions. What opportunities exist in each region? What is the investment required to start a Jani-King Franchise? 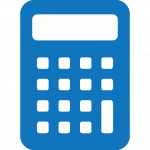 To help to determine the level of investment you can expect, and what plan is right for you we encourage you to complete our Investment Estimator Tool. This tool will consider your business goals and send you an email with additional information on the Jani-King Franchise opportunity and more specific investment levels required to achieve your desired goals. What do we mean when we say initial business? Our Franchise Plans B through to E level all include initial business. If you invest in a franchise plan that includes a level of initial business you will be provided with customer accounts up to the monthly initial business amount specified in your Franchise License Agreement. For example, if you invest in Jani-King’s Plan E-5, the $5,000 initial business amount is the total dollar value of the customer monthly billing. What Regions have Unit Franchises Available? All 12 of Jani-King’s Canadian locations have Unit Franchise business opportunities available. Some Regions have opportunities available immediately, and others have waitlists – this all depends on the area in which you are interested in. Do we offer financing for the initial investment? How do the Regional Offices support their Franchisees? What business essentials and tools do you get with the initial investment? Dawn Deluney talks about the flexibility of a Jani-King franchise. Three Franchisees share how they decided to invest in Jani-King Commercial Cleaning Franchises and how their businesses have evolved over the years. Franchise Owners Habib Abdulle, Kelly Romeiro, and Sunil Boodoo, share what they love most about owning a Jani-King Franchise in Southern Ontario. Greg and Lisa McNeil talk about leaving their corporate jobs to start their own business. Jody talks about how he started his Jani-King Commercial Cleaning Franchise and how his business has grown over the years. Joyce and Paul Natividad share the story of their venture into business ownership. April Coughlin shares why she decided to invest in a Jani-King Commercial Cleaning Franchises and how her business has evolved.